1. Introduce yourself and your business. My name is Shari Neal Williams and I now have an extra last name because I just got married! I was born and raised in Chicago, IL and I still live here. My brand is named Bon Bon Vie and I started it back in 2010 to fill a void in the graphic t-shirt niche. I noticed there weren’t a lot of tees for women of color and I wanted to change that. Bon Bon Vie also represented aspirations I had for myself. I was working as a web developer at the time and I needed to scratch the creative itch I had. I was also a graphic designer who loved t-shirts, so I figured that was the route for me. I wanted to have my own business, do my own thing and live the “good life.” Bon Bon Vie comes from a funk song of the same name by T.S. Monk and bon vie means “good life” in French, so it all came together from there. 2. I’ve been a follower of our brand for years and it was one of my first inspirations behind launching Tees in the Trap. So I was definitely in shock when you decided to take a break and focus on your health. Can you tell us more about how you prepared to step away from such a successful brand? I was so floored when I found out my brand inspired you. What you have done with Tees in the Trap is nothing short of amazing, so let me just say I am so happy for you! Stepping away was difficult, but so necessary for me. I have hypothyroidism and I was officially diagnosed in my early 20’s. It’s one of those things where if you live a healthy lifestyle, you’ll likely be fine. Unfortunately, the very success of Bon Bon Vie took me to a place where I wasn’t putting my health first. I was doing everything myself when I first started. The designing, the packaging, the runs to the post office, the advertising, social media, all of it. I was burning the midnight oil every night and getting very little sleep and eating terribly. My body literally turned on me, my immune system peaced out and I had to make a decision to take care of me. I toyed with shutting Bon Bon Vie down completely, but I just couldn’t do it. I left the store up, but I stopped putting energy into it. Most items were sold out, but the few things that were there, people would somehow find my store and bought the remaining stock over time. Because I didn’t shut it down completely, it made relaunching a lot easier. 3. Once I started seeing your ads about relaunching Bon Bon Vie I was excited to see you back. What made you decide to try this again? After having my daughter and deciding to be a stay-at-home mom, I decided to get back into it. I’ve done a lot of freelance work the past few years and I started to get that creative itch again. Bon Bon Vie is like my first child. I poured my heart and soul into it and people have never stopped asking about it. Friends would tell me they saw people out and about wearing my shirts. People were even still stealing my designs. I felt like if there really was a demand, the rest would work itself out. I figured at the very least, I could revive it and see how things went. 4. Since your first launch, your family has grown with the addition of a beautiful daughter. How has being a mother impacted your decision-making process and drive? Wow, that’s a good question. Becoming a mom has changed my life in so many ways. Moms are some of the most efficient, resourceful people because frankly we just do not have extra time to mess around with. I don’t have a nanny and my husband travels for work, so I have to do the most with the least. I get it in during my daughter’s naps and when she sleeps for the night. I have to be more decisive, say no to more people, be organized and manage my time well. She has changed the way I do everything and it has made me a better person and business owner. I am more focused and absolutely more driven. 5. The landscape of how products are being sold online has transformed since your initial launch. What did you find was your biggest hurdle when trying to relaunch? There were a few things. It was a shock to see just how many people are selling shirts now. So many print-on-demand sites have popped up since I started, so the marketplace is definitely more crowded. I also had a learning curve to tackle with Facebook ads. I also let my social media accounts fizzle while I was on hiatus, so I had to revive those and get them going again. My Twitter account was DOA. It’s been real! 6. With so much competition in the online t-shirt game, how do you set yourself apart from the noise? I think having started it before so many others have is an asset. Having that experience taught me that with an e-commerce site, certain things never go out of style. Quality design and typography will always help your brand and ads stand out. You should go above and beyond for your customers, customers never forget if you give them exemplary service. Your brand should also have a strong identity or tell a story. 7. You seem to have really gotten a solid grasp on Facebook ads. How have they helped grow the visibility of your brand? Thanks! I feel like I’m still learning. Facebook ads have been amazing for my brand now that I know the basics. Everybody and their cousins are on Facebook, so creating compelling ads that people want to share has grown my e-mail list like crazy, gotten me more fan page likes and ultimately new customers. 8. Can you offer any Facebook ad tips or courses for newbies who feel overwhelmed? If you don’t know anything else, the “Boost Post” button is your friend. It’s way easier to advertise to people who already like you. There are so many great courses out there. 9. What other steps or advertising did you organize to help maximize the Bon Bon Vie relaunch? How have you stepped up your marketing game since your original store opening? I don’t know if you remember, but you gave me the single most important piece of advice I have gotten since I relaunched. You told me to focus on Instagram and GIRL, it has paid dividends. If you do e-commerce, you need to be on Instagram and posting multiple times a day. My followers and engagement have exploded in the last few months. When I started Bon Bon Vie I didn’t have to market this hard, it was really an afterthought. Now, marketing and keeping my brand visible is my #1 objective. 10. 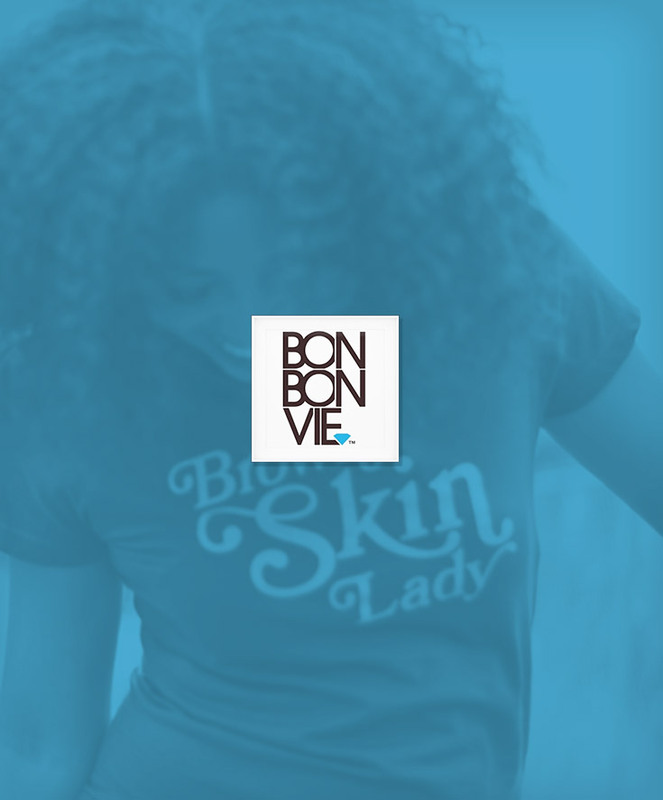 What e-commerce platform are you using for Bon Bon Vie? How do you like it? I use Shopify and I love it! My original store was on Big Cartel and it was cool. It’s good if you don’t have a lot of products. But I think Shopify is the most robust store platform available. It can do absolutely everything, it integrates with everything. I’m so happy I made the move. 11. What social media platform do you find gives you the most traffic to your store? See above, lol. Instagram drives the most free traffic. Facebook is also up there, but how much traffic I get from them is directly related to how many ads I’m putting up and how much money I’m spending. 12. Where do you want your shop to go in the next 5 years? I would like to expand, for sure. Most of my old customers know I used to sell jewelry so that might be cool to revisit. I have some partnerships in the works, so I’m excited to see where that goes. I’m also launching a new bath & body brand soon that I’m beyond excited about. 13. What one piece of advice would you give someone trying to get started selling t-shirts and/or products online? Set yourself apart! You are entering a saturated market, so you need to know your niche and bring something new to the table. What an amazing comeback story of resilience and perseverance. For more info check out Shari’s brand Bon Bon Vie to see how well her brand is put together.